According to the Canadian Press, B.C.’s clerk of the legislature Craig James is not happy with Auditor General John Doyle. During a Victoria gathering of Canadian legislative officers, a private meeting was broadcast on speakers throughout the building. There’s been this disconnect and boiling animosity between this place and the office of the auditor general in terms of the propriety of certain discussions and certain statements that have been made about various audits of this place,’ said James during debate at the legislature. …Last summer, Doyle released an audit of the financial management of the legislature that concluded the building’s financial records were in such a state of disorder that he couldn’t conclude if money was being properly spent. James said he’s had a request from Doyle’s office for all the financial documents relating to the 2011-2012 financial year, at least 28,000 documents. There is a good bit of irony here. James, talking to people from across the country who have no connection with the province and its government, dares to complain that John Doyle, an officer of the legislature pursuing duties assigned to him by statute, was wrong to talk to British Columbians about embarrassing details of sloppy financial administration by James, his colleagues and predecessors. Craig James’ defensiveness is a warning sign. Organizations being audited cannot dictate to Auditors which records are available and which records are not. If they could, audits would be of no value. Audits are fishing trips. Examiners first evaluate internal control systems to determine if they are adequate and functioning. They review the commitments and capability of people exercising authority. If the systems are lacking or the individuals not competent, auditors increase the extent of review. Past financial management by legislative officers demonstrate that controls have been inadequate or non-existent. Words and actions suggest that Craig James has a well developed sense of entitlement and wants no auditor challenging his right to rewards. That sets off alarm bells. Bells that have already been ringing as stonewalling BC Liberals aim to prevent John Doyle from doing his job. …the Auditor General has expressed a qualified audit opinion and provided comments on areas he believes the financial statements have departed from Canadian GAAP. The claims and the reality are thoroughly disconnected. The nonsense continues….bill this “clown” for the amount or amounts owing. This man's resignation is in order, and should be tendered immediately. You are “public servants” not people working for a private corporation….an obvious fact lost on most of these people. Any form of malfeasance, or corruption in any form governance, must be dealt with quickly and with the severity that befits the act. Use the proceeds of crime legislation to go after these clowns. It amazes me the sense of entitlement some of these folks have. They work for the taxpayers of British Columbia, we don't work for them. The money they spend is ours regardless of whether it's by MLAs,or bureaucrats. We have a right to know how our money is being spent. If a politician or civil servant balks at releasing financial information they we know they have something to hide. Fire him for cause and pay him no severence. I truly hope that come May 15th the broom comes out and sweeps these self-important gas bags out with the trash. We truly need to have a thorough look at what these band of thieves have milked this province of in the time that they've been in control. To the civil servants who are pushing back and stonewalling the Liberals from completing the remainder of their crooked deals: GOOD FOR YOU!!! Please keep it up…history will look upon you kindly, like those who sheltered the Jews during World War 2. Yup…he's committed alright and shiny too. Let me tell you, cleaning up the books ain't rocket science but you have to want to do it and be prepared to let the chips fall where they may. Craig James lacks credibility to do that. James has much to answer for. Harry Neufeld, the Chief Electoral Officer (CEO) until June 2010, was an excellent and highly ethical public servant who headed the 'non-partisan' Elections BC organization for one term. He was eligable for a second term, however, under his leadership, Linda Johnson, the Deputy CEO prevented Colin Hansen from sending out pro-HST brochures to every household in BC during the HST Petition period. Hansen, and his Finance Ministry staff had forgotten to registered under the Recall and Initiative Act as opponents of the HST Petition, hence were prohibited by law from sending out those brochures, but were set to do it anyway. Ms. Johnson's letter to Hansen (under Heufeld's leadership) embarrassed the Minister, as the government had spent the best part of $1 million to produce the brochures and then had to throw them out. 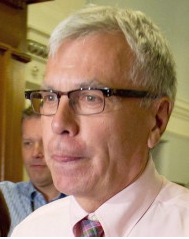 Neufeld's term ended only weeks later and despite his application for a second term, the Liberal government refused to reappoint him and, instead, appointed James to do their bidding. His first act was to block the Petition from being sent to the Legislature (after it was duly verified by Elections BC) by saying that a Business Coalition had launched a Court Challenge against the sucessful Petition on the basis that the HST was a Federal issue, not subject to Provincial Law. This was James doing the BC Liberals bidding. The following September, he oversaw a reorganization of Elections BC and, magically, Linda Johnson's position was eliminated and, after many years as a dedicated civil servant, she was pushed out – once again, he was doing the Liberals dirty work of getting back at a civil serrvant who was simply doing her job. James work 'on behalf' of the governing party continued until he was rewarded with the Clerk of the Assembly job – where he somehow got his predecessor, George McMinn a cool 'double dipping' gig as a consultant, drawing his (McMinn's) considerable pension plus a $250,000.00 per year contract for two years to offer ocassional advice. Now, what person without a conscious wouldn't like an arrangement like that. James is a Liberal hack in a civil servants cloak. While Mr. Neufeld was a BC Liberal Government appointee am I correct in my recollection that, unlike Mr. James, his appointment came after consultation with the Opposition? CRA likes to look at “industry groups.” Servers, as a group, contractors, loggers, actors. Maybe they should be looking at civil servants, epecially those with perks and expense accounts where there is no required accountability. In my readings, it has been reported that Mr. James took his wife along because two tickets in economy class was less cost to the taxpayer than one ticket at business class. My question is this: if Mr. James can effectively discharge his duties after travelling economy, then why should the taxpayer even consider supporting his travel in the much more expensive business class? Given that my math training began in the '50's, I believe that two tickets in economy are much more expensive to the taxpayer than one ticket in economy. Has math changed that much? I don't know what is more despicable, a government that places compliant people in key positions or a person with questionable qualifications milking his good fortune for all it's worth. As I see it, our politicians have gotten too comfortable in assuming that they can write their own ticket in how and on what they can avail themselves of the taxpayers' money and their handpicked appointees share their views. Any attempt of accountability is seen as an affront of their stature as they perceive it. In other words, they are pigs at the trough and don't give a fig about what you or I think! My late mother worked for George MacMinn at his law office until they had a dispute – not her fault – and he fired her without notice and without severance. She had a hell of a time finding another job until a maverick lawyer hired her, noting her impeccable credentials and references – she had worked for several lawyers who went on to sit on the bench. He later told her that MacMinn had had her blackballed and she needed to keep a very low profile for awhile. What the hell was Christy thinking, offering him that kind of money for occasional advice? At the very least, he should sharpening pencils in his office, 9-to-5, Monday through Friday — preferably in an upright position. Yes, Mr. Heufeld was hired by an all party committee and was a unanimous selection. He wrote an excellent paper to the speaker in 2003 pointing out a number of shortcoming with the Recall and Iniative Act, which, of course, was ignored. The current CEO of Elections BC was also properly vetted before being hired, however the Liberals left James in the position throughout the cruicial timeframe during the HST Petition verification, the Recall attmpts and until the HST Mail in Referendum was completed. Many wondered (myself included) if he might have been there to do mischief during the referendum, but the rank and file people in Elections BC are exceptional individuals and James could do nothing but stand by and watch the HST be rejected by a majority of BC voters. This guy? George MacMinn's $500,000 retirement contract drew harsh criticism …BC CHRISTY rewarded him nicely. Thanks very much for extra information Colin. The beginning of the legacy of Criminal Christy.